The OPPO F1s is now available in Philippines. 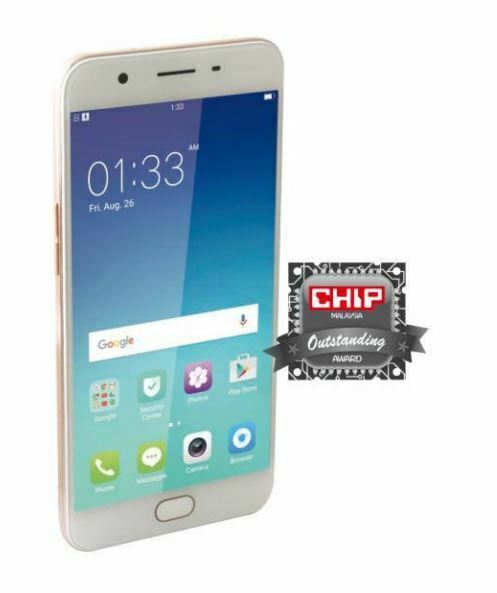 The cheapest OPPO F1s price in Philippines is ₱ 6,199.00 from Lazada. You can also choose between different OPPO F1s variants with 32GB Gold starting from ₱ 6,199.00 and 32GB Rose Gold at ₱ 6,499.00. OPPO F1s price details are updated April 2019. Delivering the finest mobile phones that transform your experience, Oppo Philippines champions the cause of making the art of technology to be part of your lifestyle. Knowing that selfie has been one of the most enduring trends in the digital mobile experience, Oppo releases the Oppo F1s model that comes with amazing specifications and exciting features. Below are some highlights about the Oppo F1s specs. Encased in an elegantly crafted design, the Oppo F1s mobile phone exudes that premium vibe. In addition, this gorgeous Oppo smartphone also displays an exceptional level of craftsmanship. As a result, the Oppo F1s looks so beautiful that you will be drawn to it. Not only that, this Oppo mobile phone also boasts a smooth exterior that gives out tactile sensation when touching or holding it. Most important, it is designed with such high emphasis on ergonomics. Aside from giving you a more comfortable and more secure way of handling it, the Oppo F1s is also crafted exclusively for you to take pictures in a smooth and easy manner. Possessing the highly efficient octa-core processor, you can trust the Oppo F1s mobile phone when it comes to running any given task without breaking a sweat. Moreover, it can even take on the most demanding application effortlessly. Boosted by its 3GB RAM, it enables your Oppo smartphone to maintain its peak performance for a long time. In other words, this means that Oppo F1s displays such consistent performance that will make your day. Whether you are playing a game, browsing your content or watching a movie, the Oppo F1s smartphone always delivers. Outfitted with the fearsome 13MP rear camera, it gives Oppo F1s the ability to capture perfect moments consistently in no time. Such a feat is possible with its state of the art imaging chip. Moreover, it has been outfitted with a powerful sensor which makes it highly efficient. As a result, it is relatively easy for you to snap gorgeous pictures that boast such a high level of depth and detail. At the same time, you will be thrilled that you finally have an Oppo mobile phone that can capture your perfect moment in its entirety. As this Oppo smartphone has been equipped specifically to give you the best selfie experience, the Oppo F1s houses the amazing 16MP front camera that comes with F/2.0 aperture and 1/3.1 inch sensor. These features allow the camera to be extra sensitive to light. In simpler terms, you now have the opportunity of snapping natural-looking selfies effortlessly. Not just that, you can even get sharper selfies even at night or in areas with poor lighting condition. In conclusion, Oppo F1s is a gorgeous mobile phone that can transform your lifestyle with its awesome features. Today, Oppo F1s price starts from PHP 8,990 for its 32-GB variant. It comes in three color options - gold, rose gold, and gray, and two internal storage tiers - 64 GB and 32 GB. For the specs, the Oppo F1s price is definitely worth it if you're into selfies and mobile photography.